The President Muhammadu Bujhari-led Federal Government has officially announced the closure of the Nnamdi Azikiwe International Airport in Abuja, beginning from 12 a.m. on Wednesday, March 8, 2017.. The Minister of Information, Lai Mohammed, made the revelation at a world press conference on Monday in Abuja, saying that the airport will be closed for six weeks. 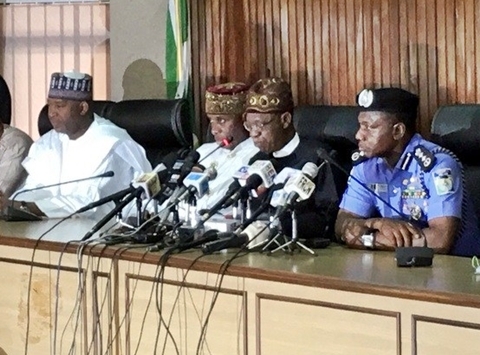 The Minister of Transportation, Rotimi Amaechi, who also spoke at the press briefing, said the government has kept its promise to make Kaduna Airport ready for use as alternative. Also, the Minister of State in charge of Aviation, Hadi Sirika, said observations made by acting President Yemi Osinbajo who was in Kaduna Airport on Friday had been “taken care of”. So far, only one international airline has agreed to use Kaduna airport, Sirika said.